NO WARRANTY ON PUSH/PULL GOLF CARTS & WHEEL CHAIR APPLICATIONS. Cleaner Less acid, no cadmium or antimony. Complies with increasingly strict international standards on protection of the environment. Better usage performance Charges up to two times faster than conventional alternatives. Excellent high-current discharge ability. A unique micro-porous high-absorbent mat (AGM), thick plates cast from a high purity lead calcium selenium alloy (which ensure an extended life), and a SiO2 based electrolyte solution. 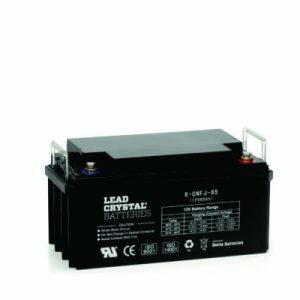 By using a unique blending technology, Lead Crystal® is able to combine a variety of inorganic salts and organic substances to co-ordinate a combined reaction to improve the reaction ability between the electrolyte and active material on the lead plates. 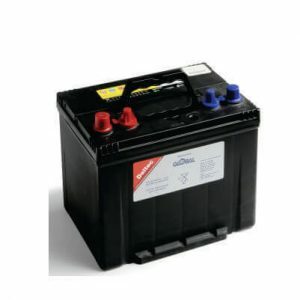 The electrolyte prevents the active material from becoming brittle and falling of the plates, improving the cycle life. 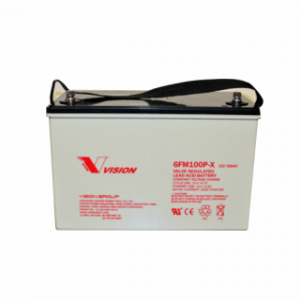 When charged/discharged the liquid electrolyte transforms into a crystallized state leaving hardly any free liquid electrolyte in the battery. 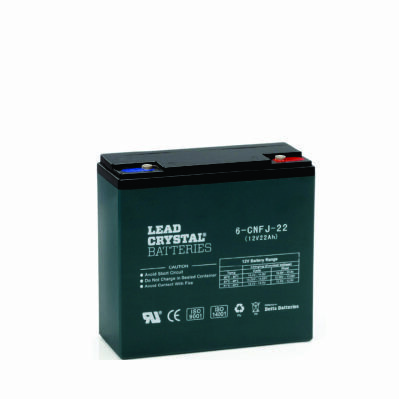 This opens a wide range of installation applications, since the risk of electrolyte leakage is minimized. This reaction also improves the products’ safety, making it less harmful to installers and users alike.